BTS has unveiled the tracklist for 'Map of the Soul: Persona'! The boy group's new album contains a total of 7 songs titled "Intro: Persona," "Boy With Luv" feat. Halsey, "Mikrokosmos," "Make It Right," "HOME," "Jamais Vu," and "Dionysus." 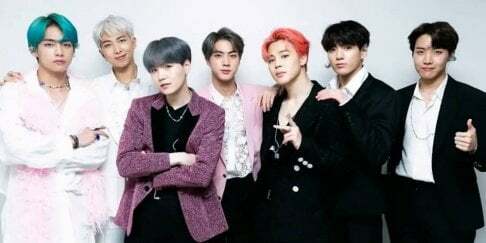 'Map of the Soul: Persona' is set to drop on April 12. Jamais Vu - Opposite of Deja Vu. The phenomenon of experiencing a situation that one recognises in some fashion, but still feels unfamiliar. It is like, you look at a common word for so long that it suddenly seems meaningless and strange. Dionysus - Dionysus is the god of the grape-harvest, winemaking and wine, of fertility, ritual madness, religious ecstasy, and theatre.